Digital Examples: The greatest ever unsolicited product endorsement? The greatest ever unsolicited product endorsement? 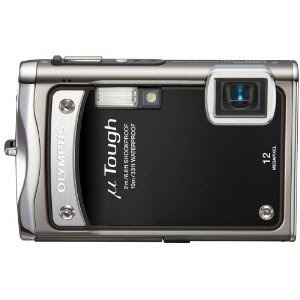 "Sir, After reading Jonathan Margolis’s review of the new Olympus Stylus Tough camera in How to Spend It (Travel Unravelled, May 15), I immediately went online and ordered it for my recent trip to South Africa and Zimbabwe. In South Africa, the camera performed excellently in the rapidly changing conditions of World Cup venues from temperate Rustenburg to rainy Cape Town. The versatility of the camera is impressive. After being tossed around in luggage and drenched during a World Cup match, the camera performed excellently in formal meetings with Zimbabwe’s government leaders in Harare. Whether I was taking photos at a game or tossing the camera to a colleague to snap a quick photo with prime minister Morgan Tsvangirai, the camera’s performance was superb. You need not be a professional photographer to use the camera and the settings are easy to operate. Yet, after seeing the 14-megapixel images the camera produces, people may not believe an amateur took them with a point and shoot. This camera is a must-have for business travellers who find themselves in photo-necessary situations inside and outside of boardrooms. I’ve already got my camera charged and ready for an upcoming trip to Bermuda." If I were in the market for a new camera (which I'm not), I know which one I'd buy. The people at Olympus must feel very happy!